Is it snowing in La Chapelle d'Abondance ?Thank you! As the starting point for the Portes du Soleil ski region, La Chapelle d'Abondance offers 650 km of alpine ski pistes, snow shoe trails and 35 km of Nordic ski pistes. La Chapelle d'Abondance is an all year round village - offering a range of outdoor summer pursuits including mountain biking and hiking for all abilities. The village is unspoilt by modern tourism offering the rustic charm expected of French mountain life yet, offers all the facilities expected when skiing - including an ESF ski school, ski hire shops, supermarket, bars and traditional restaurants. 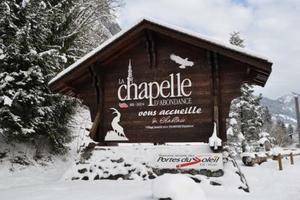 La Chapelle is perfectly situated for access to the main Portes Du Soleil ski runs, however, has 2 of its own ski areas. 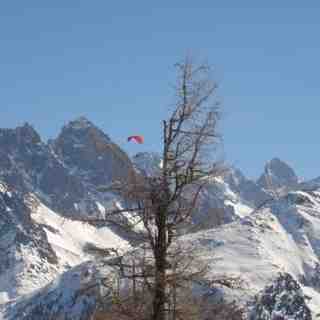 These are perfect for beginners and intermediate skiers - particularly families. A single pass links both areas and offers 22 lifts and 75km of runs combined. I purchased an apartment here at Pierre Blanche nearly 3 years ago, and it was the best thing I ever did! The village is really lovely, managing to keep that traditional French charm about it, and not being too touristy. There are many great restaurants and bars, along with a few shops and a little bakery which is epic. 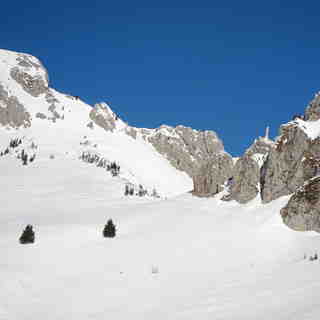 The village has its own small ski area called Crêt Béni which is perfect for beginners. It is also serviced by the regular free ski bus that takes you up through the village to the Panthiaz cable car, which is connected to the full Portes du Soleil. 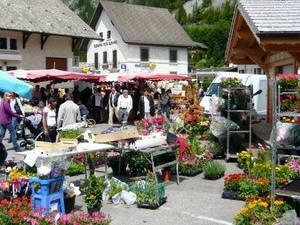 The village is also linked to the busier town of Chatel, either by the free bus or the Columbus paying service. I’ve brought many friends over with me, who continually remind me how lovely this place is, and how awesome it is to call this our second home. 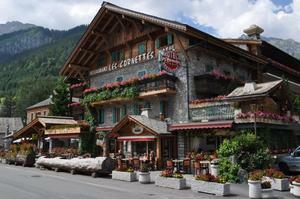 Les Cornettes and their waiter Cipriane, will make you feel very welcome. Excellent food and a great atmosphere. Can’t wait for my trip out here next year!